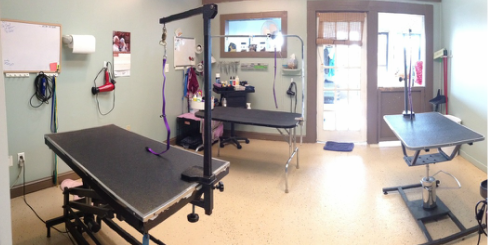 Owner Laura Dusch opened Happy Tails Grooming in Branford, CT 10 years ago after training under an experienced groomer. She ensures the highest quality of care for each and every animal. Her professional staff includes certified groomers Elizabeth Bredeau and Lisa Mignosa with over 30 years of combined experience. In addition to her great work with dogs, Elizabeth also serves our cat clientele. Walks and ample access to water and cookies!